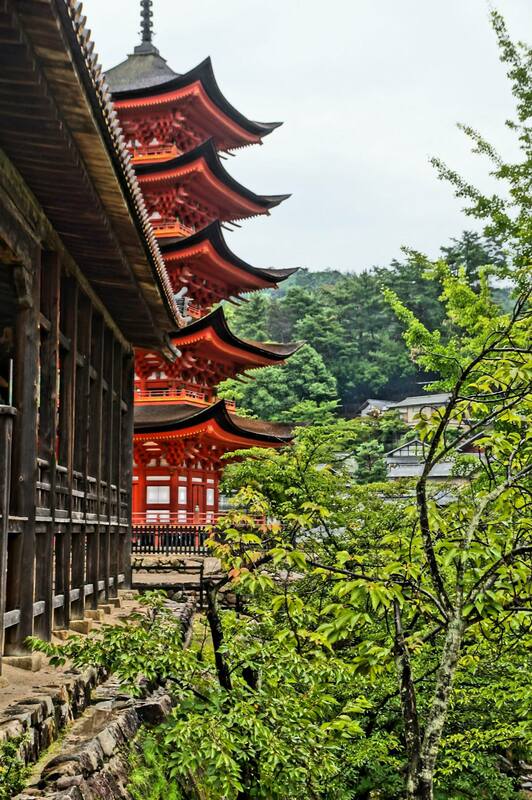 Miyajima is a must-see destination for any traveler looking to be captivated by the stunning landscapes of Japan. It is ranked one of Japan’s top 3 views, and it is also a great place to go if you need a quiet and tranquil environment. The island’s real name is “Itsukushima,” but it is more popularly known as its nickname, Miyajima, which translates as “Shrine Island” or “Island of the Gods”. Miyajima is most famous for its shrine that appears to be floating on the sea during the high tides. However, there is lot more to see and do on the island. I arrived to the island on a rainy day, so I was not able to take advantage of all the activities available. However, the rain did not prevent me from enjoying my trip. Actually, I enjoyed the rain due to the cooler weather, less people, and the foggy mountains made the scenery on the island very tranquil and mystical. 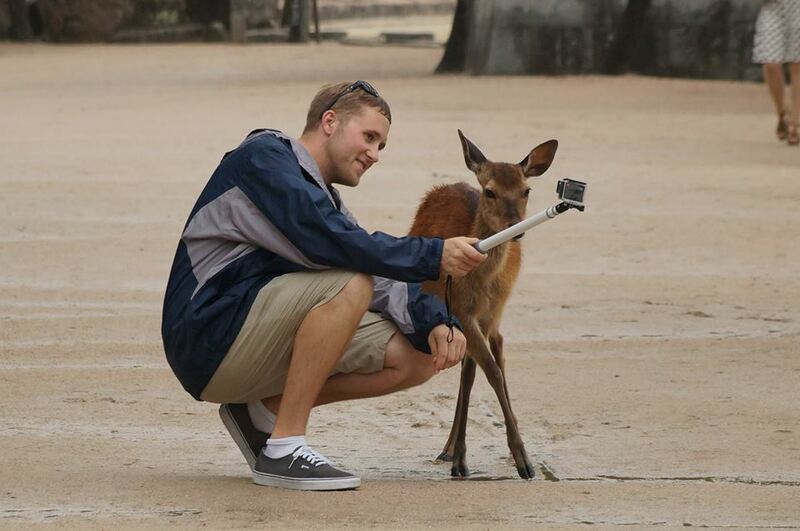 As soon as you arrive to the island, expect to be greeted by friendly and inquisitive deer who freely roam the island. However, be careful with your belonging, because sometimes curiosity gets the best of these friendly creatures, and they might go snooping through your bag or pockets. 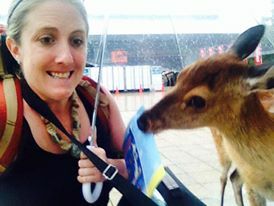 While trying to snap a picture, I actually had a deer steal the map right from my bag’s side pocket. After roaming around taking pictures of the deer, my cousin and I decided to go and marvel the alluring architecture of the island. We started our tour at the Itsukushima Shrine. 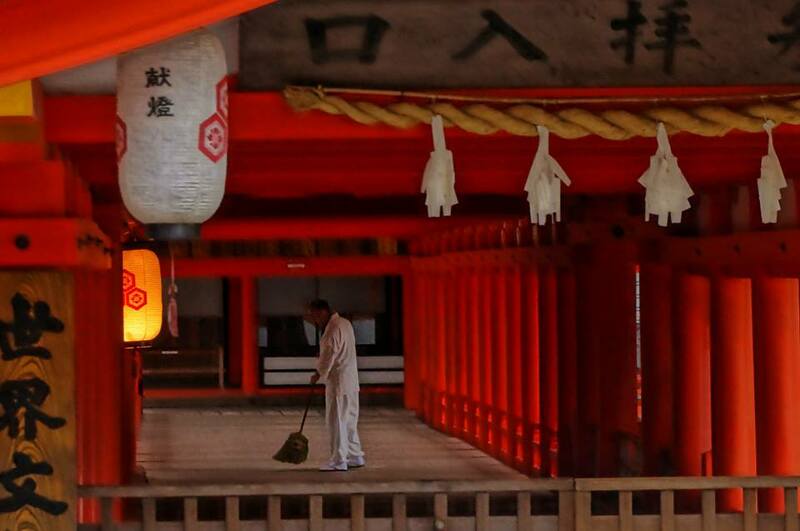 The Itsukushima Shrine is a UNESCO World Heritage Site which consists of a large, red-lacquered complex of halls and pathways built on stilts. The purpose of the building was for dwellers to have a place to roam while not defiling the sacred island with their footprints. In the past, the island of Itsukushima was so revered that woman were not even allowed on the island. Also, the old and the sick were shipped away from the island so no spirits or ghosts would posses this sacred place. Though these rules do not exist today, the island still has a mystical and serene ambiance. During the high tide the waters come all the way up to the temple so it appears that the structure is floating. Unfortunately I was only able to visit the island during low tide due to limited time. So if you have the chance, plan your trip according to the high tide. There are also guided tours where you can kayak around the shrine and the surrounding coast. The tour group is called “PADDLE PARK” and they provide a guided tour from Miyajima to Enoshima Island. They also paddle around other picturesque places on the Setonai-kai,Inland Sea.Check out this website for more information about kayaking at Miyajima. After checking out the Itsukushima Shrine, my cousin and I climbed the hill to view Gojunoto, the five storied Pagoda. It was built to enshrine the Buddha of medicine and the Buddhist saints Fugen and Monju. This pagoda is unique and there are only 4 others existing like it in Japan. I really enjoyed surveying the gorgeous landscapes. The vibrant red pagoda looked striking against the lush, green, foggy mountains. 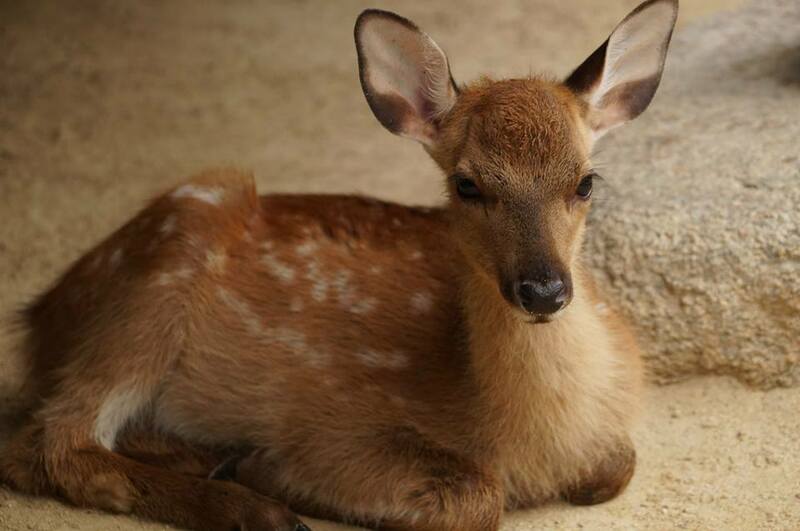 While we were exploring the pagoda, we discovered an adorable baby deer napping at the foot of the stairs. The little fawn watched us with curious eyes and allowed us to come close to take a picture.It was incredible to be able to interact so closely with wild animals. After exploring the pagoda, we decided to take a break at the local shops and restaurant stalls. The shopping area is a bit touristy and full of souvenir shops, so it doesn’t really fit with the vibe of the island. 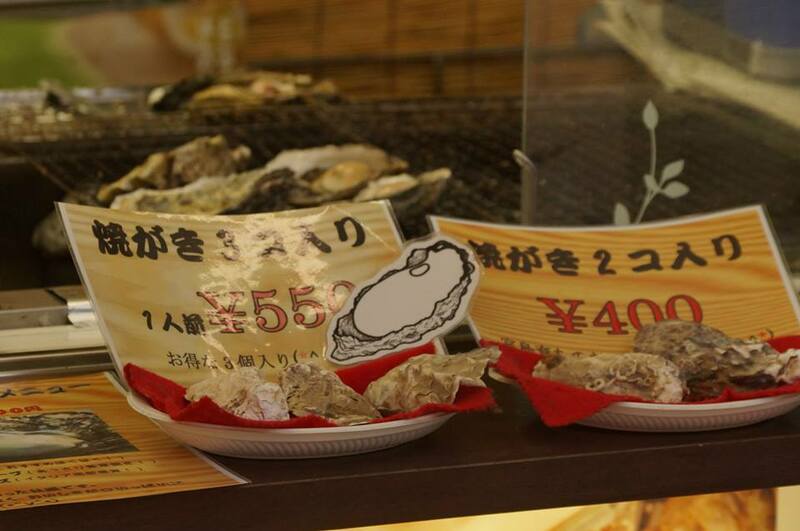 However, it is worth checking out the food stalls selling delicious oysters that are famous to this region of Japan. On Miyajima, you can order the oysters raw or grilled with a side of ponzu or soy sauce. If you are in the mood for something sweet, the island is also famous for a maple leaf shaped cake that is filled with red bean paste. This famous dessert was created in Miyajima in the early 1900’s, and it is still a very popular treat today. 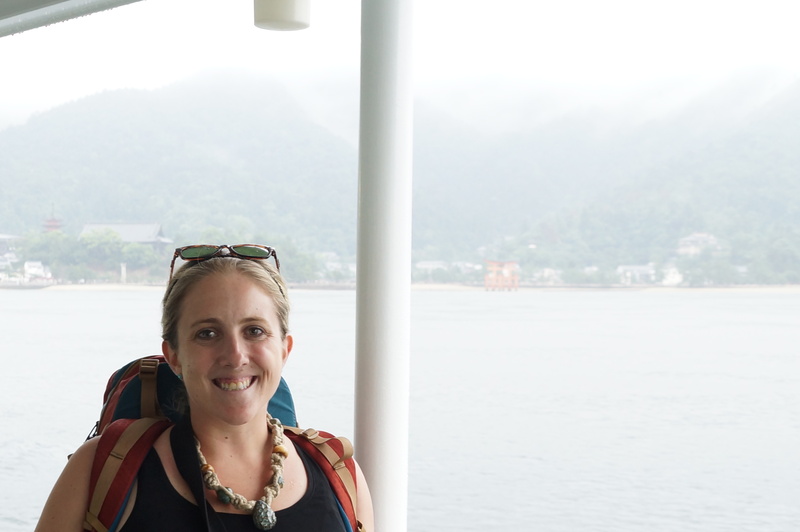 Though I arrived to Miyajima on a rainy, hot day, I was still able to spend hours marveling at the stunning scenery. 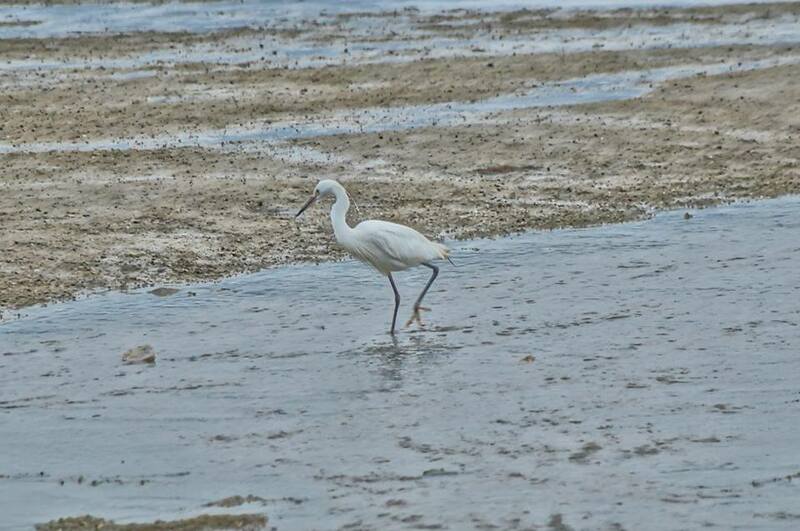 The island is full of wild life such as beautiful birds and sea critters. 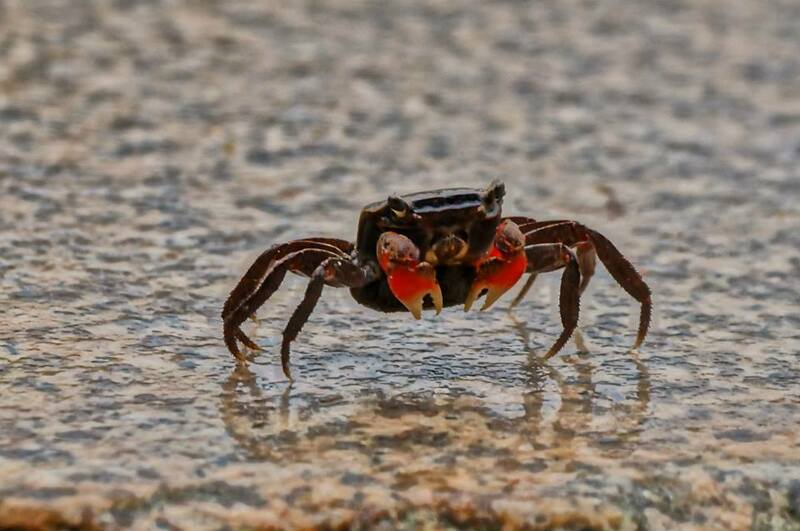 I really enjoyed taking my time photographing the various wildlife that I saw. 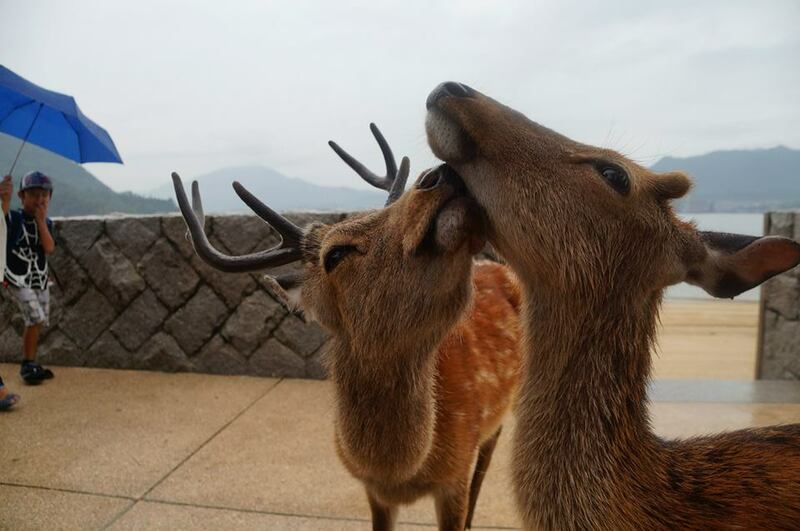 If I had been able to visit Miyajima on a sunnier day, I would have chosen to hike Mt. Misen. Mt. Misen is the highest peak on the island and it stands about 500meters above sea level. On clear days, the peak offers stunning views of the Sento Inland Sea as well as Hiroshima. Along the hike, there are many buddhist statues and structures built along the mountain’s trail. Also, there are wild monkeys that occupy the forests. For those readers who are interested in hiking, there are three different trails one can take: the Momijidani course, the Daisho-in course, and the Omoto Course. The Daisho-in course is the most popular as it offers the best views, and it is the easiest trail. However, if you want to enjoy the beauty of the forest, the other two trails are great options too. If you are not really into hiking, or if you have limited time, there is a ropeway available. However, the ropeway does not reach the peak; so it is still another 100 meters to the summit. 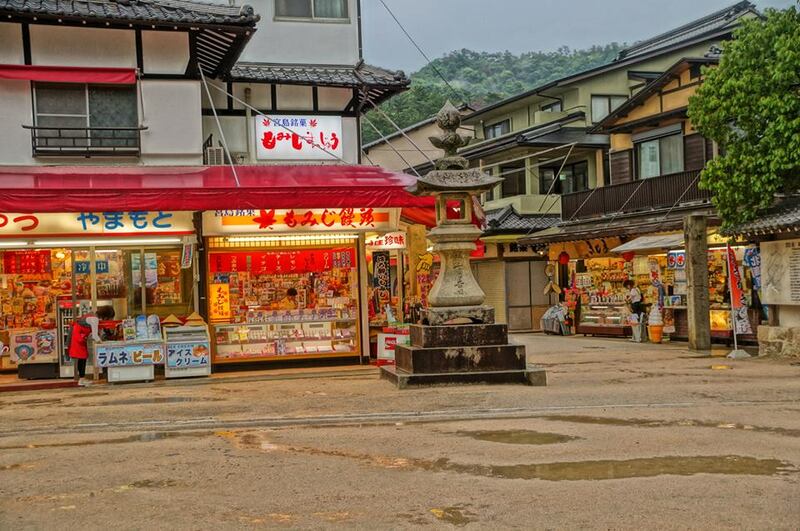 Miyajima is a great place to visit year round. In the spring the island offers breathtaking views of the cherry blossom trees blooming throughout the island. The summer offers a lush, green landscape as well as great weather for outdoor activities. In the fall, the leaves change to vibrant hues of reds and oranges. The island is also far enough north to receive snow fall in the winter. Regardless of when you visit, I can assure you that you will be mystified by the beauty of this sacred island. My cousin and I visited Miyajima after spending the morning touring Hiroshima. We were on a tight schedule as we only had 8 days to visit Osaka, Kyoto, Hiroshima, and Miyajima. We took an early morning bullet train from Osaka to Hiroshima, and we were easily able to see the main attractions in 3-4 hours. I was captivated by the peacefulness and warmth of Hiroshima, and I highly recommend adding this notable destination to your trip itinerary If you are looking to tour Hiroshima, you can read about it in my blog, “Hiroshima, a City of Peace”. No bridges connect Miyajima to the mainland, so the island can only be accessed by ferry boats. The closest ferry terminal to the island is located near Miyajimaguchi Station on the JR Sanyo Line. This stop is about 25 minutes from Hiroshima Station and costs 410yen for a one way pass. There is also an option to take tram line 2 from central Hiroshima to Miyajimaguchi Station. The tram takes longer but only costs 260 yen for a one way ride. Once you arrive to Miyajimaguchi station, it is a short walk to the ferry pier, and signs will direct you to get there. It is a small station and area, so navigation is easy. The ferry departs about every 15 minutes. There are two competing ferry lines that operate from this port: JR and Matsudai. Both ferries cost 180 yen each way and take about 10 minutes to arrive at Miyajima. If you are traveling with the Japan Rail Pass, then the JR Ferry is the best choice, as it is included with your pass. For those of you who are unfamiliar with the Japan Rail Pass, it is a cost effective rail pass for those making long distance trips throughout Japan. This pass is only available to tourists, so residents or those working on a Visa in Japan may not purchase it. The pass offers unlimited use of JR trains. Tourists can purchase a 7, 14, or 21 day pass, and there is an option between the ordinary or green car seats. Furthermore the pass can be uses on local JR buses and the Tokyo Monorail to and from the Haneda Airport. If you would like more information about the Japan Rail Pass, click here. 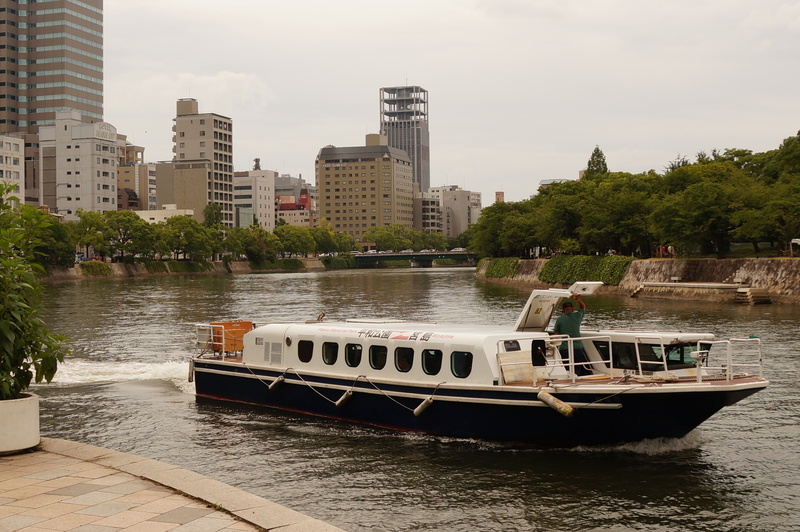 The other option is to board a boat at the docks located in the center of Hiroshima Peace Park. This option takes about 55 minutes and costs 2000 yen. I hope this blog is helpful to anyone wanting to explore Hiroshima and Miyajima. If you have any questions or comments, please leave them below! Also follow my blog for travel tips and stories for many destinations around Asia!